Heading into this weekend’s Brands Hatch finale, Colin Turkington trails standings leader Ash Sutton by just ten points after what has been a breathless Dunlop MSA British Touring Car Championship campaign. With 67 points on offer over the final three rounds of 2017, there is plenty of time remaining for that deficit to be overcome. The Team BMW man has the advantage of having been there before. In 2009 and 2014 he emerged victorious from the finale weekend, driving West Surrey Racing-prepared BMWs. Two wins on his most recent visit to the longer GP circuit would indicate he won’t be handing anything to Sutton on a plate, even if those victories did come in a Subaru. 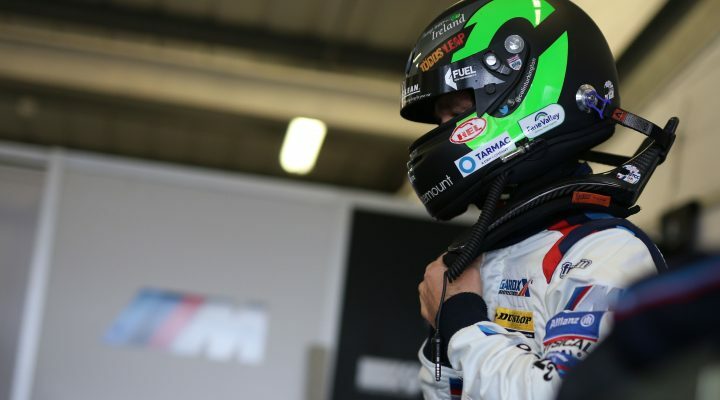 “The buzz about this weekend is incredible and I’m raring to get going,” said Turkington. “Once we arrive at Brands on Friday it’s game on and I can assure you I will be giving it everything I have. “When it comes down to it, you have to have complete belief in your car, your ability and the team. There isn’t one doubt in my mind about any of this. I know we can do this. The volume of work and resource that has gone into the BMW this season fills me with confidence and this can only improve our chances. When you take into account how competitive we were here at the Indy circuit in April, all the right signs are there. “I’ve enjoyed some fantastic races around Brands Hatch GP throughout the years. Clinching both my titles were life changing moments and last year’s double win was also a pretty memorable one. “I want this more than ever and I feel I’ve worked harder than ever. We’ve busted ourselves day in and day out to be in this position and I can assure you there is only one result on my mind.